Create beautiful memory frame with treasured keepsakes! 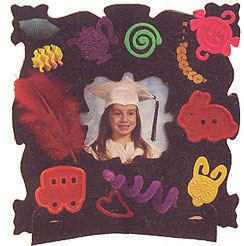 Use the collage materials provided with your own special objects such as sport tickets stubs, wrapping paper, photos and shells. Size (inches): 2.56" X 6.10" X 8.07"